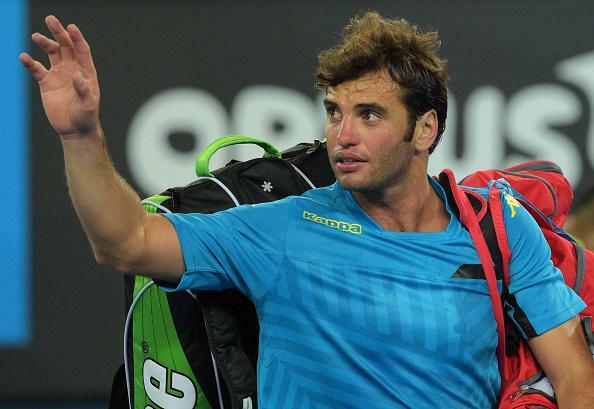 Malek Jaziri withdraws: Israeli opponent was next for Tunisian tennis player. Jaziri at the Australian Open in January. Tunisian tennis player Malek Jaziri withdrew today from a match he was leading in the Open Sud de France; if he had won the match, he would have faced Israel’s Dudi Sela in the next round. The Tunisian tennis association was banned from the 2014 Davis Cup after ordering Jaziri not to compete against an Israeli opponent in 2013. The 65th-ranked Jaziri, who lost in the third round at the Australian Open, also withdrew from the doubles, where he would have faced an Israeli opponent. He and Spanish partner Marc Lopez had been set to play Jonathan Erlich of Israel and Cermak Frantisek of Czech Republic in the quarterfinals. Both the ATP and the Tunisian tennis federation did not reply to emails and phone calls seeking comment. Boycotts against Israeli athletes in international competition are fairly common. A Pakistani player who famously teamed with an Israeli partner at Wimbledon in 2002 was criticized by members of his country’s sports establishment but did not face any formal repercussions.